Many people who started their drug abuse on opioid painkillers turn to heroin once prescriptions are too hard to obtain. Heroin is a cheaper option that provides the same high. But heroin detox is not easy when it is time to quit. Heroin takes effect quickly. But it also leaves your bloodstream quickly. Because of its fast-acting nature, withdrawal begins within six to 12 hours of your last dose. As difficult as heroin detox can be, it peaks in only two to three days and is over within about a week. Heroin detox cleanses all of the drugs from your body. Withdrawal symptoms can be rough, however. This is why so many people quitting heroin turn to a reputable heroin detox facility for help. Medically supervised withdrawal keeps you safe and prevents relapse when the going gets tough. You will enter the facility before withdrawal has fully begun. This allows time for the medical professionals to get to know you and your personal needs. When withdrawal peaks at two to three days, you can be kept comfortable using medications, therapy, vital signs monitoring, nutrition and other comforts. There are many factors that determine how difficult your withdrawal is and how long it lasts. These factors include how long you used the drug, how you took it and how much you used each time. If you have a co-occurring condition of mental illness, that will affect your withdrawal, as well. As you know, heroin is an opiate. When you use the drug, it slows your heart rate, blood pressure, breathing, and temperature. It binds to your brain’s opioid receptors, promoting increased production of pleasure chemicals. This is why you feel so peaceful and pleased when you take heroin. When you stop using heroin, the opposite effects happen. You experience changes in heart rate, breathing, blood pressure and temperature. Other effects are depression, anxiety and irritability. You will have other withdrawal symptoms depending upon the level of your addiction and how much your brain has changed to function on the drug. Heroin withdrawal is not deadly for the majority of people. But you can suffer complications from the medical and psychological symptoms, such as suicidal thoughts. Relapse is deadly after withdrawal. Most heroin deaths are due to relapses. 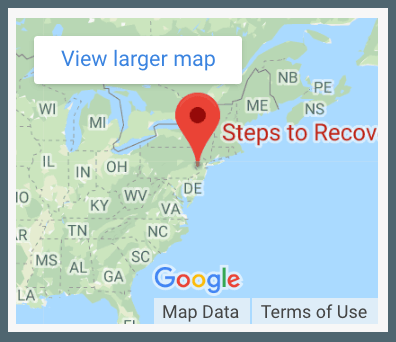 In Levittown, Pennsylvania you can recover from a heroin addiction after safely and comfortably detoxing under medical supervision. At Steps to Recovery, you gain strong recovery from heroin, alcohol and other drugs through quality treatment programs designed to fit your needs. Steps to Recovery offers intensive outpatient, partial hospitalization and outpatient rehab programs including a wide array of therapies. Clients like you receive individual, group and family counseling so you can bring the pieces of your life back together and rebuild relationships you have lost to heroin. If you or someone you love are ready for lasting recovery from heroin, call Steps to Recovery now at 866.488.8684. Getting through heroin withdrawal, detox and recovery is not easy. But with the right support and guidance, you can enjoy healthy, lasting recovery.